That’s right. If you’re serving them something and no one else is eating it, they might be wondering if there’s something wrong with it. On the meals page we outlined the benefits of having regular meals and getting the family to the table. 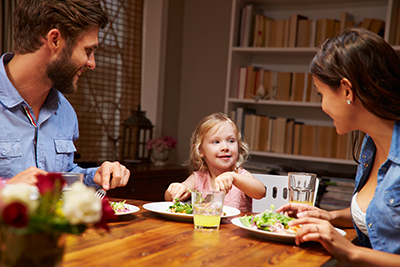 This page will describes what you do at the table and how that effects your child’s food intake and development of healthy food behaviour. Your child looks to you for guidance. They know that you’re their best chance of survival. What you do at the table is really important. In a non-pressure environment they’ll learn to eat the foods that you do and their relationship with food will likely be similar to yours. Children learn through watching other people. They’ll see how you select food, physically eat and enjoy food. If your eating is not ideal, it may be a chance to either change it, or if not, at least hide it. Be conscious of not passing on these habits to your children. If you often diet, restrict and avoid foods and your toddler sees this, it’s likely to affect their ongoing relationship with food. Don’t let these negative attitudes be seen by your child, keep them to yourself. When you eat the same food you offer your infants, they get to see the food is safe. They can eat it without fear of it doing them harm, you’re like their poison taster. This isn’t a guarantee they’ll take it straight away, but they’re much more likely to have a try at some stage. It would be easier if you (who understands the importance of role modelling!) were the only one your child looked to for eating guidance. 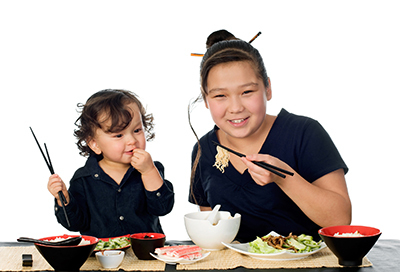 Anyone who eats with your child can influence eating behaviour: carers, brothers, sisters, grandparents, your friends, other children and childcare workers. You need to consider who else eats with your child and what your child is learning from them. This can sometimes prove challenging. Who else eats with your child? What is your child learning from them? Other children and especially older children can be a big influence on toddlers and children. Have you ever experienced your child eating things at childcare that they wouldn’t eat at home? This is likely to be the influence of other children or staff eating the same thing in a non-pressured environment. Children are very good at reading your face and seeing your level on enjoyment. Don’t choose foods which you don’t like to eat yourself. Children are very good at reading your face and seeing your level on enjoyment. You might end up providing them with a reason to not eat those foods. Don’t make negative comments about foods. Children will not want to try new foods if they’re not relaxed and feeling secure. 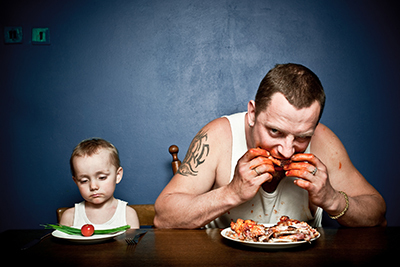 Tension at the table will reduce the appetite of your child. Pressure to eat will effect the mood at meal time. It might be that you understand the benefits of having good eating role models more clearly than other members of the family. Sometimes another parent or family member isn’t on board. This can undermine the positive effect of your role modelling. 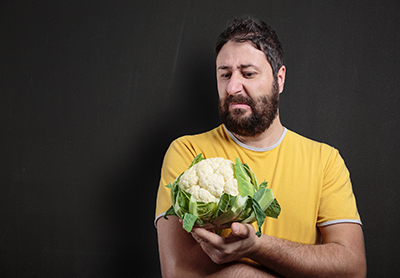 It’s OK for others not to want to eat some food, but it’s important that these foods are politely declined rather than making a fuss…”no thank you” as opposed to “yuck”. These are important lessons to pass on to children. If you go on diets often and have a history of trying things to reduce weight don’t let your toddlers or children see this. There is good evidence of parents passing on negative food habits that lead children to a life of food restriction and weight management problems. It’s important that childcare workers understand their role in modelling healthy behaviours at meals. Often child care centres will have rules about staff and child behaviour at meals. Ask to have a look at the childcare centre nutrition policy, you can always suggest they check out this website.